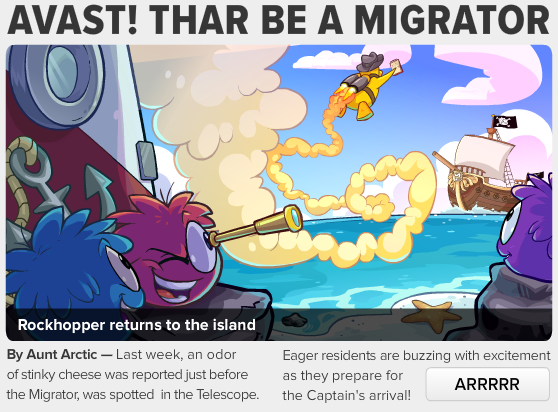 By Aunt Arctic -- Last week, an odor stinky cheese was reported just before the Migrator, was spotted in the telescope. By Gary--GADZOOKS! I must say, last year's medieval party was most exceptional! There are so many thinks planned! 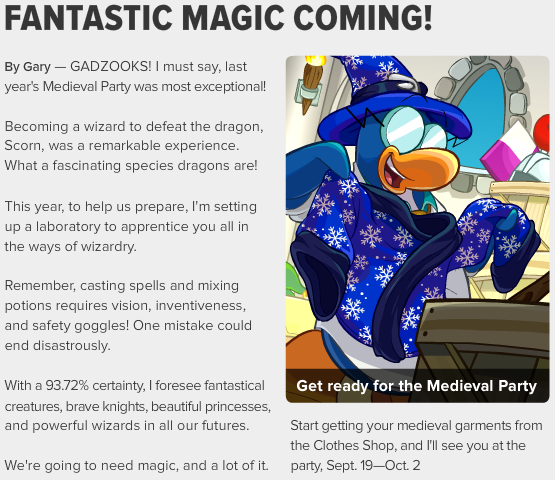 I'm loving that there will be a medieval party for september! 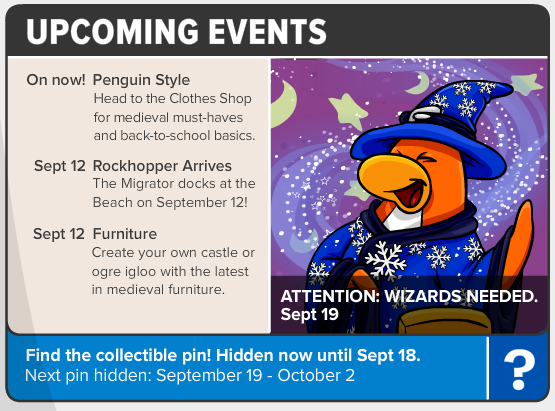 Also, don't forget to check out the clothes shop for this months style catalog!